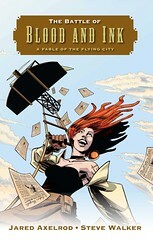 Fables of the Flying City » Free Comics! Yes, we’re giving away comics. Because we love you all. 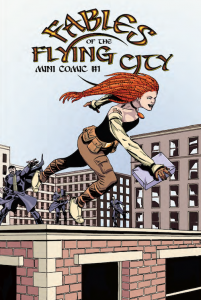 The response the mini-comic contest was so positive, Steve and I are going to go ahead and send autographed copies of the first FABLES OF THE FLYING CITY mini-comic to EVERYONE who entered. 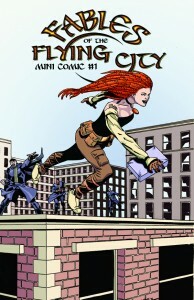 That’s right, if you sent an email to fablesoftheflyingcity (at) gmail.com before Dec 1, you’re getting a comic in the mail. Now, if you if didn’t email us but still want to read it, or if you wanted to read the mini-comic before it arrives in the mail, we’ve got you covered. The comic is right here on the website, just waiting to be read. And it’s just the first. Steve and I have a whole series of mini-comics planned, leading right up the release of graphic novel, THE BATTLE OF BLOOD AND INK. 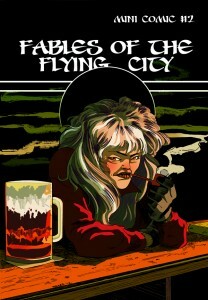 If you would like to be alerted to when the new mini-comics are available, when we’re doing new contests, and other such mad website content Steve and I are dishing out on regular basis, just send an email to fablesoftheflyingcity (at) gmail.com, and we’ll put you on the mailing list. Oh, and enjoy the free comics! Thanks Aaron! there are more to come!